Oswald was created by Walt Disney and animator Ub Iwerks for Universal Studios in 1927 — a time when cartoons ran before every movie in the theater and sound was a luxury. The character was almost instantly a hit with audiences, who appreciated his vim and vigor and compared him favorably to the famous comedic actors of the time, like Buster Keaton and Charlie Chaplin. Oswald lived and loved and got into scrapes. But the one thing he didn’t do was talk. A year after his premiere, in spite of Oswald’s success, Disney’s bosses at Universal asked him to take a pay cut. Oh, and he was also informed that the rights to Oswald weren’t actually his. This was the Golden Age of Hollywood, when every trope we know about the greed of Hollywood producers was born. The Universal higher-ups thought they could leverage Disney’s character against him and that even if he didn’t agree to the new, altered deal, it didn’t matter. Walt Disney was one man. Universal was a studio. They’d just replace him, and where would he be? Walt Disney did the unthinkable: He told Universal to stuff it and moved on with Iwerks to found his own studio and create a new character. Disney created a mouse — The Mouse — and that mouse piloted a steamboat into history. Who cared if this mouse looked suspiciously like a rabbit? The mouse was Disney’s, and would soon be the world’s, and no one would ever be able to take him away. The rest of that story you already know. Oswald actually continued on until Woody Woodpecker disrupted him. And for 50 years there was nothing. Fast forward to the year 2005. The company that Disney built is now one of the largest and most powerful corporations in the world, rivaling even Universal Studios. Among the Disney company’s disparate holdings is ABC, one of the “big three” television broadcast networks. And one of the ABC network’s biggest shows is a sports program called Monday Night Football, co-hosted by Al Michaels. And Al Michaels wants out. Michaels had hosted Monday Night Football for 26 years, alongside a succession of famous former players and other celebrities (including, for a brief two-year stint, comedian and occasional political commentator Dennis Miller). In 2002, Michaels was paired with legendary former NFL player and coach John Madden. Yes, that Madden. Madden and Michaels were a perfect fit: wise, vociferous career football observers with a passion for the sport and an uncanny ability to pinpoint what made it interesting to the viewing audience. They each found bliss in each other. Meanwhile, Disney was making a change. The company wanted to shift Monday Night Football from ABC to its 24/7 sports-oriented cable network ESPN. Starting with the 2006 NFL season, Monday Night would be cable-only. The change spooked broadcast veteran Madden, who packed his bus and made a hail mary to Universal-owned NBC. Michaels, it was announced, would remain with the program at its new home, ESPN. That was the public story, at least. Behind the scenes, he was scrambling. By the time Monday Night premiered on ESPN, Michaels would be long gone, having joined partner-in-crime Madden at the upstart Sunday Night Footballon NBC. Disney, graciously, allowed Michaels out of his contract and gave its blessing for him to join the Universal family. All it wanted in return was 26 old cartoons and the rights to a rabbit. 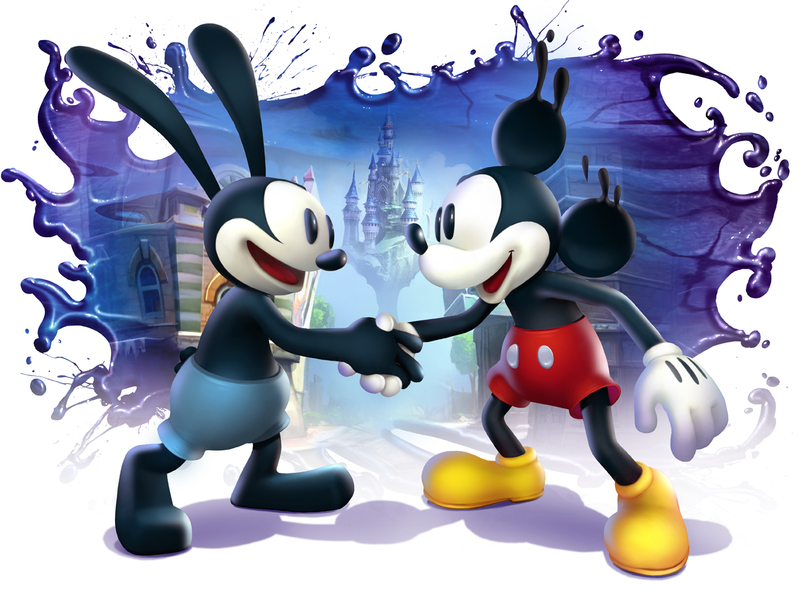 And so Oswald returned to Disney in what is one of the great multi-product line stories I have heard.